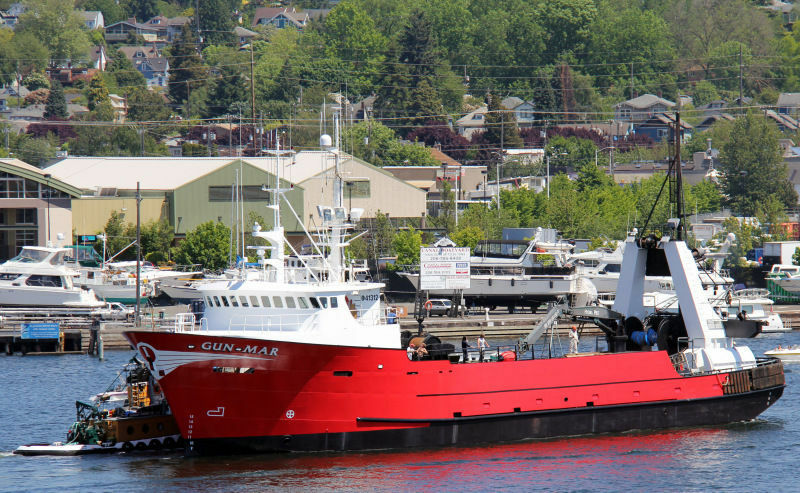 The F/V Gun Mar was first built at Nichols Brothers in 1981. It then returned to NBBB in 1993 for an 11' sponson and 32' mid-body extension. It originally started out as an 137'-2" vessel with 3,400 sqft. of deck space and later grew into a 170' vessel with 6,000 sqft. of deck space. 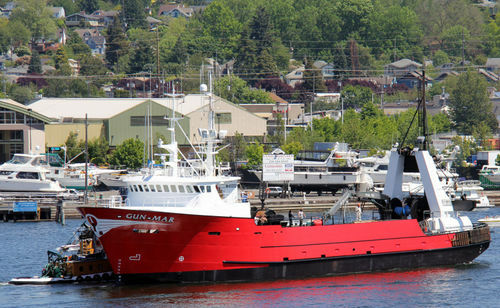 The vessel is still operating today in Alaskan Waters as the F/V Alaskan Defender within Global Seas Fishing Fleet.